Picture A (Pond): Lowber Passive Remediation System in Westmoreland County, PA. 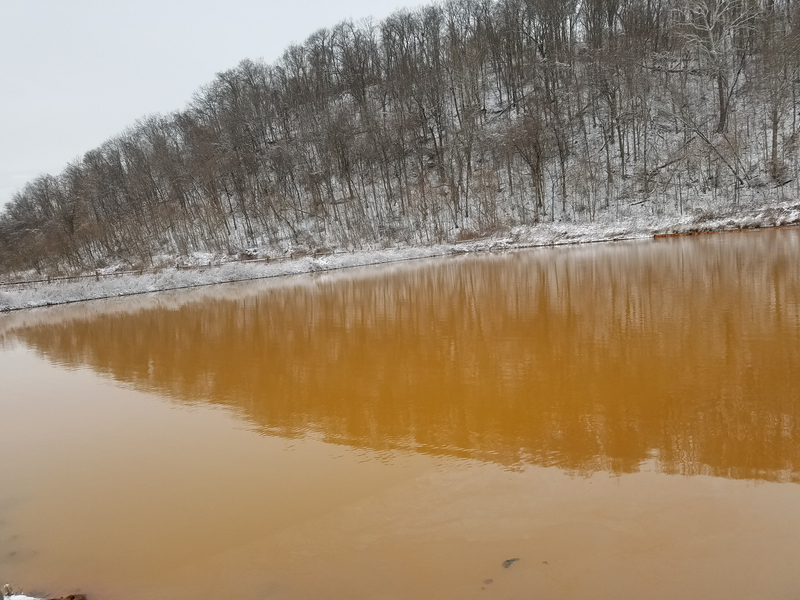 This is one of six settling ponds designed to remediate abandoned mine drainage, by allowing iron to settle out of the water as bright orange iron hydroxides. Picture B: Even in the dead of winter, the passive system at Lowber never fully freezes due to the discharge coming from an abandoned, deep underground coal mine.